Flowers abound on Cape Cod. No matter where you look, every cranny and nook are chock full of beautiful flowers! 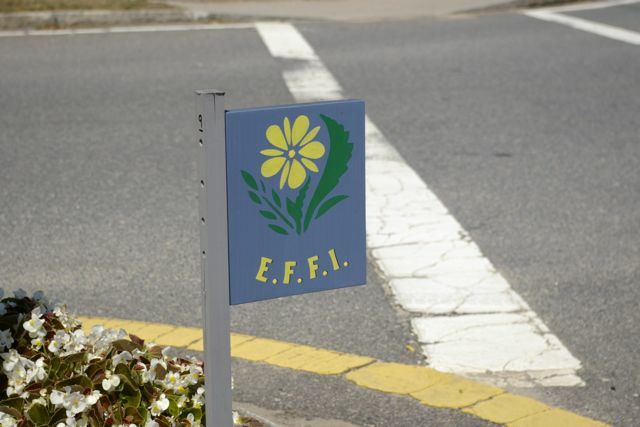 Not even the traffic islands in the town of Eastham are without flowers. Here in this portion of the Outer Cape, magnificent islands of mostly flowers and a few evergreens (often trimmed with beach décor such as sand pails, shovels and seashells) can be found along Route 6 and around town. The many flowerbeds (19 in all according to the 2010 Eastham guidebook published by the Eastham Chamber of Commerce, http://www.easthamchamber.com/) are lovingly planted and cared for by over 160 volunteers from the Eastham Forum (http://www.easthamforum.org/). Each flower island is marked with a little blue sign depicting a yellow flower and the acronym, E.F.F.I., which stands for Eastham Forum Flower Islands. 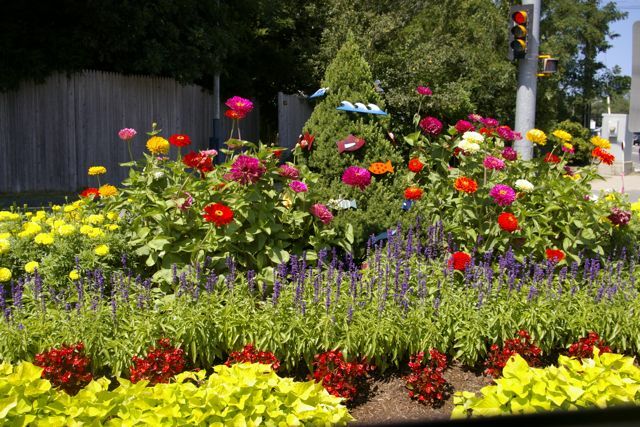 Even without the telltale sign, these amazing flowerbeds would be hard to miss! Take a look…. A colorful flowerbed decorating a very busy intersection. 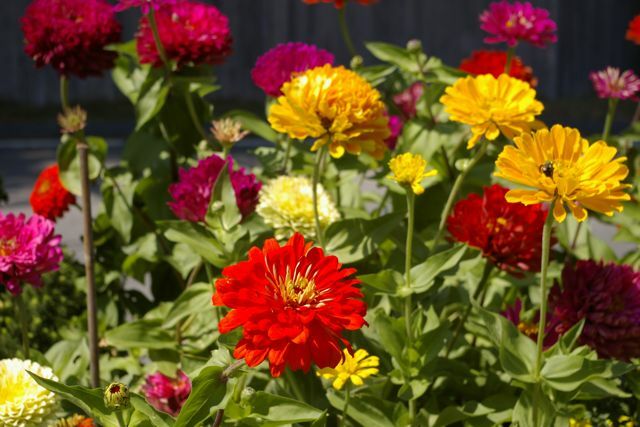 Close up of flowerbed, with a rainbow of giant zinnias in bloom. PS - even though the Cape is outside my normal territory, I do have a studio space in Eastham. If the opportunity arises to be a destination wedding florist, well then I say the more time I can spend on the Cape, the better!